After mocking and in some cases significantly underestimating the breathtaking buffoonery and pure naked ambition present in our political leaders both here and Stateside through the brilliant ‘In The Thick Of It’, ‘In The Loop’ and ‘Veep’, Armando Iannucci has now turned his attention to 1950s Soviet Russia. While it may not seem the most obvious source for comedy gold thanks in part to its tyrannical dictator, labour camps, regular executions, secret service and culture of total fear, Iannucci and his co writers David Schneider, Ian Martin and Peter Fellows have managed to pull the proverbial rabbit from the hat with a wonderful mixture of dry wit, double speak and Whitehall farce. 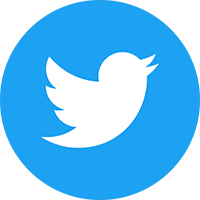 With Stalin ruling the Soviet Union with an iron fist, the people, in particular his underlings, are terrified of saying or doing the wrong thing for fear of being carted off to the Gulag or Siberia. But when Stalin suddenly pops his clogs in 1953, the remaining members of the government’s central committee embark on a race for power, with delightful runners and riders including a weasely ambitious Nikita Krushchev, a preening egotist in Georgy Malenkov, or the malevolent bully Lavrentiy Beria to name but a few. Based on a popular graphic novel by Fabien Nury and Thierry Robin, director Armando Iannucci has done an incredible job with a fast paced and hilarious script which covers the political manoeuvrings of the Soviet hierarchy immediately post Stalin. Iannucci is aided and abetted by a quite brilliant cast including Jeffrey Tambor, Paul Whitehouse, Steve Buscemi, Paddy Considine, Jason Isaacs, Rupert Friend, Olga Kurylenko, Andrea Riseborough, Michael Palin and the oh so impressive Simon Russell Beale as the odious Beria, who each try to out-manoeuvre the other. 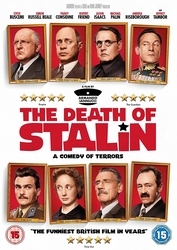 While historians may tut a little at one or two slight inaccuracies, Iannucci has once again delivered a funny, well-observed and poignant film which is equally hilarious to those who have a good knowledge of Stalin, and those who know virtually nothing about him. It would seem, at least in Iannucci’s eyes, politicians haven’t lost their capacity for incompetence, greed, ego or underhand behavious in the intervening years.